A Specialty Coffee Roastery & Cafe dedicated to our little, big-hearted community. Cordial Coffee Company is a roastery and cafe in Berryville dedicated to serving specialty coffee to the northern Shenandoah Valley. Owners Brandon and Kaitlyn are Virginia natives with a passion for coffee and a love for small town community. 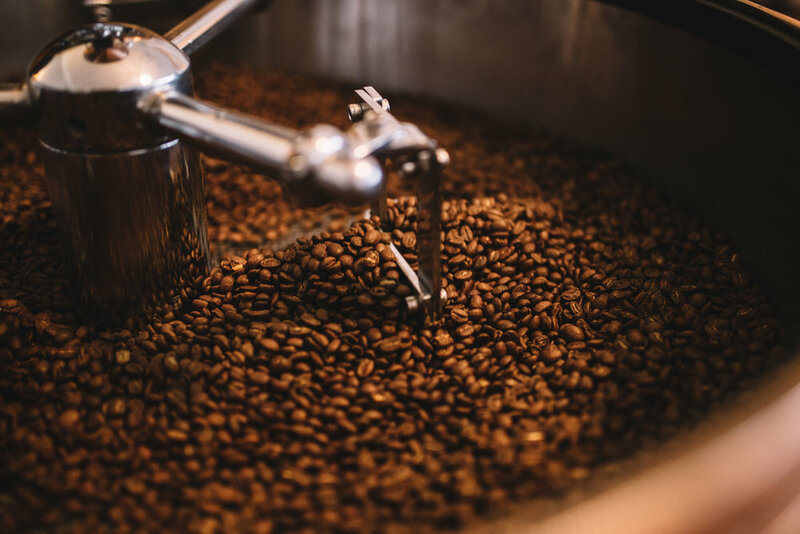 The roastery offers wholesale coffee to local purveyors looking to provide their customers with an elevated coffee experience. The cafes offers hand-poured coffees, traditional espresso beverages using grass-fed dairy, quality loose-leaf teas, real-fruit smoothies, and made-to-order gluten free waffles. We look forward to many years serving and getting to know all of you! We offer curbside pickup for expectant mothers, elderly, and those who are disabled. Questions regarding wholesale coffee, scheduling a musical performance (originals only) or showing artwork can be answered by submitting the form below. All questions welcome! Made-to-Order and Gluten Free with your choice of plain or seasonal batter. Made-to-Order with real fruit, pastured dairy, alternative dairy, or juice, and raw, healthy add-ins.